The Eltron Programming Language 2 (EPL2) is a robust text (ASCII) based command language used to control most Eltron brand Zebra printer models. EPL2 takes advantage of the intelligent features built into the printer to reduce programming overhead and minimize data transmission time. 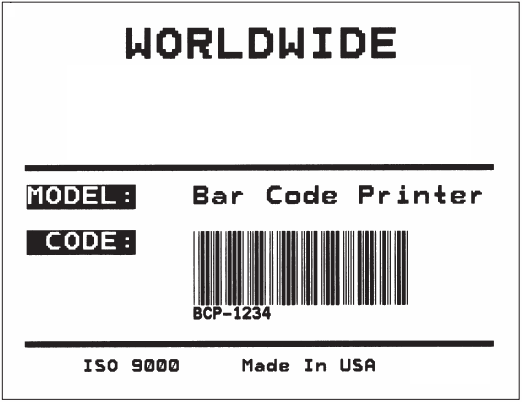 EPL is one of command printer languages from Zebra Technologies that is supported by their printers as well as by others thermal printer manufactures like SATO, Datamax, Intermec, Godex (by providing EPL firmware emulation software). Zebra printers are widely used in POS (Point Of Sales or Point of Services) scenarios like retail, banking, hospitality, manufacturing, healthcare and more! In this walkthrough, you'll learn how to print raw EPL commands from a PHP website directly to the client printer without displaying a print dialog at all. You'll be able to print Zebra EPL commands to the Default client printer as well as to any other installed printer at the client machine. This solution works with any popular browser like Chrome, Firefox, Opera & Safari on Windows, Linux, Raspberry Pi or Mac systems! It's also strongly recommended that you always start a new label by using a "Line Feed/New Line" char as well. Later on this article, you'll find the Zebra EPL commands and their explanation that you can use in PHP to print the sample label shown above. That's it! Run your website and test it. Click on Print Label to print the EPL Commands without print dialog. You can print it to the Default client printer or you can get a list of the installed printers available at the client machine. That's it! Run your website and test it. Click on Print Label to print the Zebra EPL Commands without print dialog. You can print it to the Default client printer or you can get a list of the installed printers available at the client machine.